Main entrance to the Caccia al Piano estate. Entrance to Caccia al Piano, from the historic Via Bolgherese. 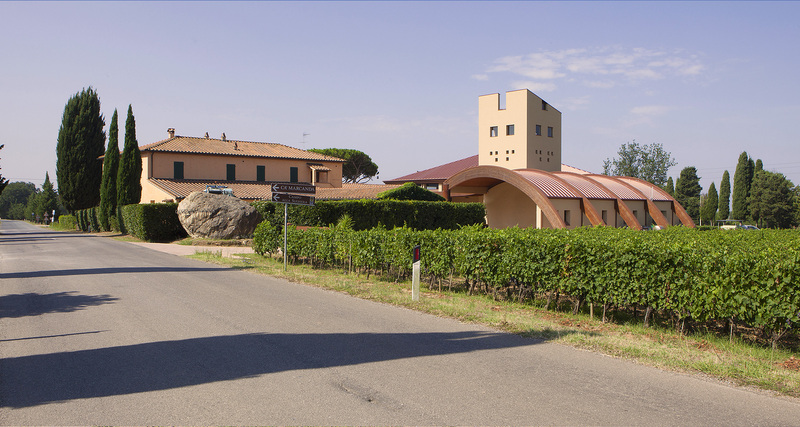 The Tenuta Caccia al Piano 1868, once the feudal hunting estate of the noble Della Gherardesca family, lies immersed in the magical beauty of the Bolgheri countryside. An ideal combination of a special Mediterranean climate and limestone-clay soils has shaped here a terroir perfect for producing great wines. Here, along the romantic Via Bolgherese, wending its way through vineyards and olive groves, winemaker Franco Ziliani launched a new initiative, producing wines that make a unique mark of their own. The hallmark of this new adventure, begun in 2003, is a passionate commitment that becomes transformed, vintage after vintage, into fragrant, elegant, full-bodied treasures.